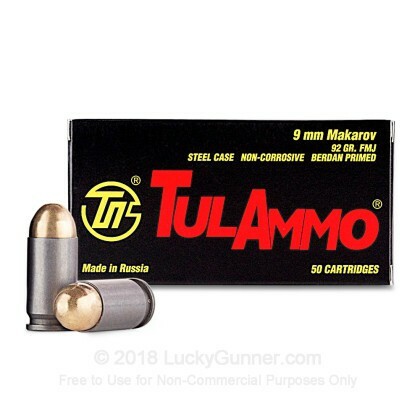 Tula's 9x18mm Makarov ammo is great plinking ammo for your Makarov chambered handgun. 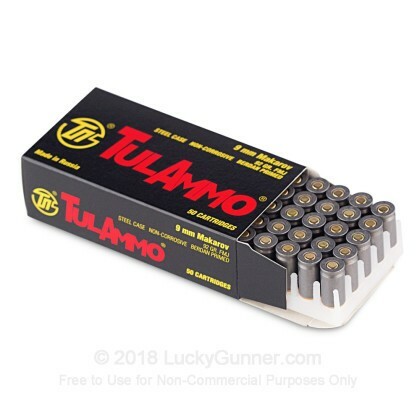 This ammo has a 92 grain full metal jacket bullet, a polymer coated steel case and is Berdan primed. 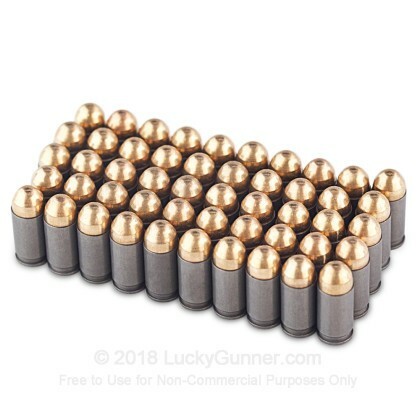 Ordering in bulk is a great way to save money per round, and have enough ammo to keep you shooting for several trips to the range, without re-ordering. 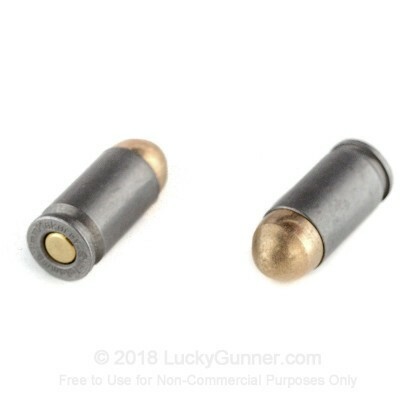 This ammo is non-corrosive, and not easily reloadable. 9x18mm Makarov was developed as the primary pistol round for the Soviet military, and is still used by government agencies in Eastern Europe today. 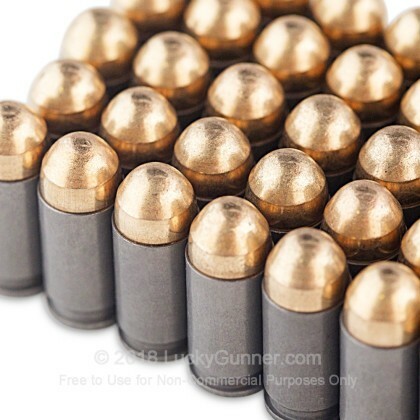 The round was selected due to its ballistic performance and affordability, but also because it is incompatible with 9mm NATO weapons, and thus could not be used by NATO troops in case of a large scale war. 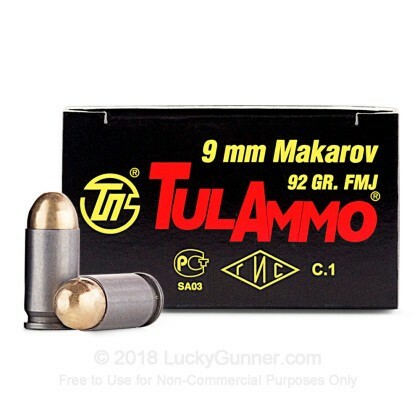 We also have this 9x18 Makarov - 92 Grain FMJ - Tula - 50 Rounds ammo in stock in a smaller quantity.